Fun vocabulary game for all ages and classes. Simply write vocabulary words on pigs and then call out the definitions to partnered students. Each partner should have a different colored writing utensil, and the first one to find the vocabulary word gets the point. 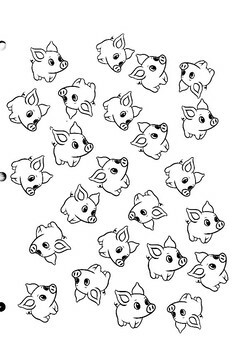 What if they color in the wrong piggy? Well, that one, sadly is dead. Don't kill the piggies but beat your partner.